I blogged about Easley last week. The Wall Street Journal says Victor Cruz faces a a giant hurtle in his comeback attempt. Hauteliving.com reports on the "All-American" Victor Cruz. A NY website previews 2016 opponent FIU. ESPN breaks down 2016 opponent Mississippi State post Spring ball. Former UMass A.D. Ian McCaw to resign at Baylor. USA Today reports he resigned last evening. Baylor hires former Wake Forest coach Jim Grobe as interim coach. One of Mrs Blog's relatives is graduating this year. We've been involved in several of the class activities such as Senior Awards Night, etc. For their Senior Prank, several members of the class snuck in and spray painted "Class of 2016" slogans on one wall of the boy's locker room-------------and then signed the artwork with their initials. 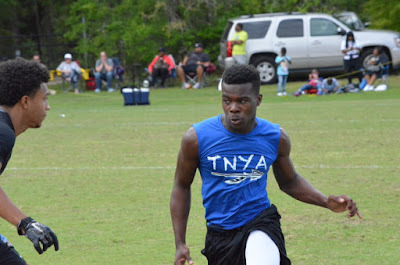 Several recruiting services indicate UMass has offered to Cameron Davis, a 5-10 195 pound RB from Opa Locka, FL. 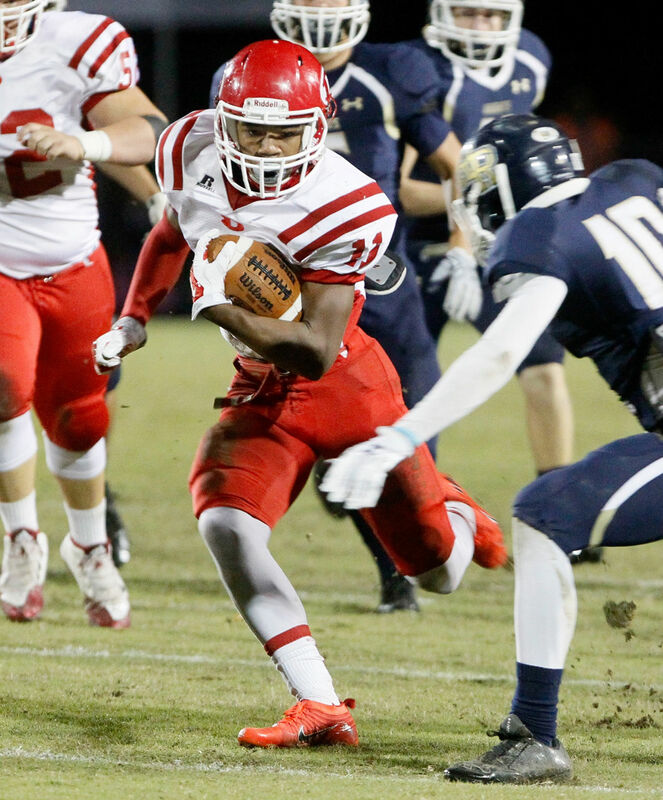 Davis has eleven FBS offers including UMass. The Minutemen are Davis' only offer out of the Northeast. The Orlando Sentinel previews 2016 opponent Troy and ranks them #89. SB Nation says Baylor football recruiting is collapsing after Art Briles has been fired. Florida Gators QB recruit Feleipe Franks can throw a football 78 yards. Vegas Insider predicts eight wins for 2016 opponent BYU. The Orlando Sentinel has a story about central Florida QBs in the 2017 recruiting class. UMass has offered to two of them. I've blogged about Auston Burton before. He's a 6-3 203 pound pro-style QB originally from Newton Center, MA. The article says he recently transferred to West Orange, FL. On May 17th, 2016 a Scout.com article on 2017 "sleepers" in the 2017 recruiting class had this to say about Burton. "Good sized passer who consistently hit the mark with his passes and has good size. Has a UMass offer, but still categorizes as a sleeper in our eyes." I've also blogged about James Brown before. He's a 6-4 205 pound pro-style QB from Orlando Jones HS in Florida. Some of Brown's stats from the Nike Orlando football event (enter James Brown into the search box). SB Nation is rookies from small schools looking to prove they belong in the NFL. Tajae Sharpe is one of them. A Titans Online writer likes the looks of Tajae Sharpe after the first week of OTA's (second question). MassLive has a story about how UMass welcomed African-American students around the turn of he last century. Several were football players. UMass had a black football coach and William Craighead was captain of the football team in 1905. Ole Miss self-imposes a double digit reduction in football scholarships. A Bleacher Report writer thinks Don Brown's Michigan defense could be on the best ever in college football. FBS went 96-6 against FCS opponents in 2015. Several recruiting services report UMass has offered to Sherod Johnson, a 5-11 174 pound WR from Miami, FL. This article says he committed to Syracuse in April, but is still open to visiting other schools. Johnson has a dozen FBS offers including Temple from the Northeast. UMass announces a 12:00 Noon kickoff for UMass-BC on September 10th. UMass will attend the football recruiting satellite camp at Cheshire Academy in CT.
South Point Vegas Sports Book has UMass' win total for 2016 as 2.5. As I pointed out a couple of days ago, few if any, Group-of-Five teams would be anything other than 0-6 against Florida, BC, Mississippi State, Louisiana Tech, South Carolina and BYU. UMass should be competitive with FIU, Tulane, Old Dominion, Wagner, Troy and Hawaii. The Minutemen could have a better team than last year and again have three wins. No more Eastern Michigan on the schedule. Our talented 2016 recruiting class should show more wins starting in 2017. Former UMass A.D. Ian McGraw has been sanctioned as part of the football troubles at Baylor University. ESPN has more on Baylor's troubles. OT, but the News-Observer says UMass is favored to win the ultimate frisbee tournament. Quote from the article "we're physical on defense". Several recruiting services indicate UMass has offered to Brieon Fuller, a 6-1 170 pound WR from Miami, FL. This article from Scout.com on May 5th features Fuller. Rivals.com has an article from April 2016 that also covers Fuller. Besides UMass, Fuller has seven Power Five offers including Syracuse from the Northeast. 247Sports takes a look at the South Carolina Gamecocks 2016 schedule. The Giants Sterling Shepard says he got to know Tajae Sharpe during the various pre-draft training camps. 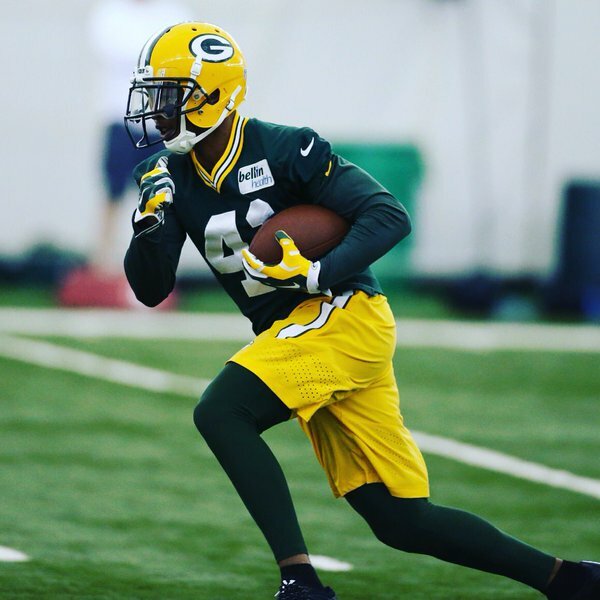 Randal Jette sat out the Packers Tuesday drills. SB Nation suggests changes to improve the targeting rule and other stuff to make college football more fun. Could the ACC be interested in Temple? 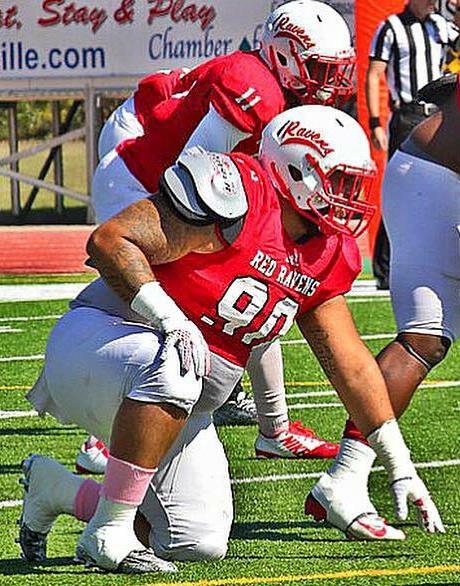 Several recruiting services report UMass has offered to Bentley Easley, a 6-3 320 pound DT from Coffeeville JUCO. Originally committed to Idaho back on December 20th. Recently visited UTSA and Eastern Michigan. Partial quote from a March 28th article from Scout.com. 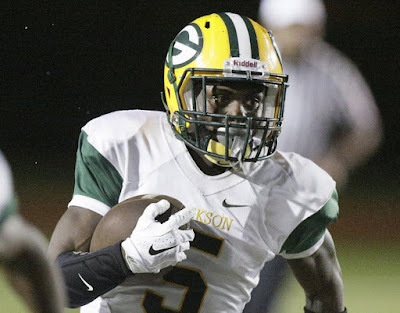 After he visits Eastern Michigan, Easley says he’s looking to make a decision quickly. He plans on enrolling at the school he selects in June." UMass will be Easley's first FBS offer after Idaho. ESPN ranks Week #1 SEC games including UMass @ Florida. CBS Sports reports today's recruits don't like classic uniforms. Speaking about uniforms, UCLA signs a $280 million deal with Under Armour. The Deseret News says it's the Big 12 or bust for 2016 opponent BYU. Underdog Dynasty looks at 2016 opponent Troy Trojans. Louisiana Tech has a challenging early schedule. 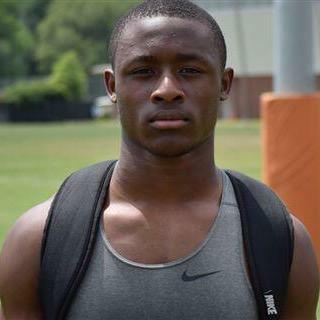 Several recruiting services indicate UMass has offered to Owen Pappoe, a 6-0 200 pound OLB from Loganville, GA.
"Pappoe is a freak freshman with over 30 scholarship offers. He started the second half of his freshman season at outside linebacker and he fit right in. He is very athletic and he really processes things well and plays the game under control. Some that have known him for years think he could be even better as a running back. Regardless of where he plays, he is going to be one of the best in 2019. Most top programs in the South have offered. " This article from March 26th, 2016 features Pappoe. USA Today has him as the top recruit in the 2019 class. 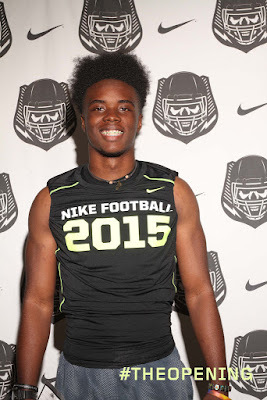 Pappoe has thirty offers including most of the SEC and Boston College from the Northeast. Inside the Gators previews UMass and has five questions about the 2016 Minutemen with Dan Malone. Victor Cruz and the Giants have a targeted return date. Old foe and 2017 opponent Georgia Southern changes its athletic logos. Conference USA gets a new TV contract. BC's Troy Flutie gets arrested. Michael Traini reports UMass has picked up its 17th three-star recruit for August's freshman class. Robinson is a 6-2 170 pound WR from Monclair, NJ. Elijah J. Robinson is a 247Sports three-star player. Hudl.com has senior season highlights. This article from March 2015 features Robinson. Robinson had offers from Old Dominion, Rutgers and Temple. Sadiq Palmer 6-3 185 three-stars. Seventeen three-star players is one more than BC and should move the Minutemen's 2016 class ranking in the high 70's nationally. The Eagle-Tribune says Boston College's 2016 OOC schedule is a collection of cupcakes. Buffalo's Colin Lisa is the fourth former UAB player to transfer back to Blazers. AAC team South Florida has been playing their games at Tampa Bay's Raymond James Stadium. They're exploring an on-campus stadium. Speaking of the AAC, Campus Insiders previews the 2016 league. Pilot Online has a post about Old Dominion's choices if the Big12 grabs one or more of the AAC's teams. Mentions UMass. Speaking of Old Dominion, our October 8th opponent is previewed by the Orlando Sentinel. SB Nation has "UConn makes its case for the Big 12". Several recruiting services report UMass has offered to Kenyetta Watson II, a 6-1 160 pound Safety from Loganville, GA. Attended a Junior Day at Florida State earlier this Spring. His dad played for BC. UMass and BC are currently Watson's two offers. al.com predicts the over/under for the SEC in 2016 and thinks Florida will be up and Mississippi State and South Carolina down. Six Titans recruits (including Tajae Sharpe) are ranked in NFL.com's top-100 rookies. James Ihedigbo plans to be playing football this year. He's a Houston resident and would love to play for the Texans. Hotnewhiphop.com likes the Remy Boyz new track "Victor Cruz". Sportsnaut.com thinks Cruz will be ready to go for week #1. Scout.com wonders if a Cruz-Beckham tandem is a pipe dream. 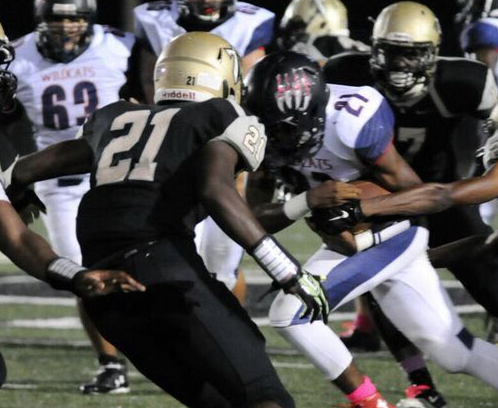 Several recruiting services indicate UMass has offered to Claudin Cherelus, a 6-2 195 pound Safety from Naples, FL. Partial quote from a May 6th article from Scout.com about Cherelus receiving his first offer from Minnesota. 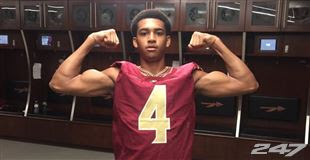 "Coach Mike Sherels is the Minnesota coach that offered me," Naples (Fla.) Golden Gate safety Claudin Cherelus said to GopherDigest. "He told me he liked my size a lot and he loved my playing style. He watched us practice yesterday and he loved the way I'm aggressive and not afraid to hit someone. He said he's a man of chances and he sees a lot of potential in me, and so he wanted to offer me a scholarship to Minnesota. He liked my leadership too on how I'm helping the younger guys when I can and always being positive and coaching people up. The offer from the Gophers is at strong safety." UMass and Minnesota are Cherelus' two offers so far. 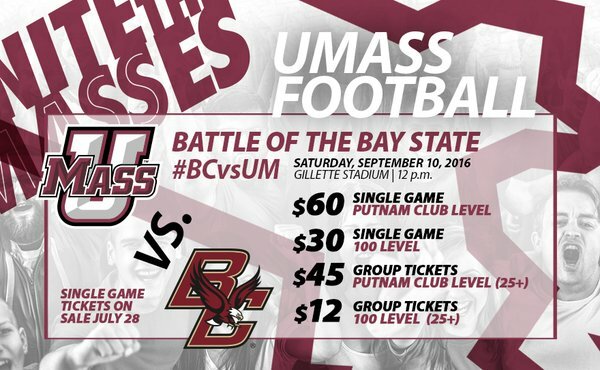 The BC Blog "BC Interruption" says the October 10th, game between the Minutemen and the Eagles will have its start time determined by the UMass athletic dept. A BYU writer ranks the 2016 Cougar's schedule by excitement. The Tennessean says Tajae Sharpe is a virtual lock to make the Titans roster. As an honorary member of the SEC this year, UMass fans will be interested in 16 reasons the SEC will rule the 2016 college football season. The Hartford Courant has a story on how UConn recruits for football. A San Antonio newspaper wonders if ESPN would push for UConn to be admitted to the Big12. 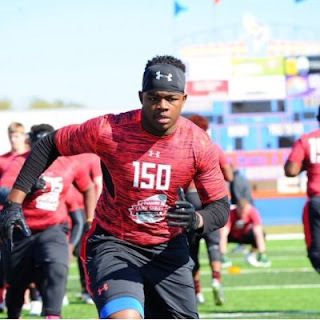 Several recruiting services indicate UMass has offered to Michael Adams, a 6-1 305 pound DT from Summerville, GA. Partial quote from a April 30th article in Scout.com about Adams. "Chattooga High School uses Adams in a variety of positions. He has played the 1 and 3 technique and he’s also played defensive end. “My coach has said he was also thinking of using me as an outside linebacker. I move well for someone that is 6' 3" – 300.” Michael is throwing the shot this spring to aid his flexibility and hip movement for those positions. Tech has not been the only visits for Adams this spring. Middle Tennessee, Southern Miss, and West Virginia are a few of the schools that received visits. The West Virginia visit led to an offer for Michael. His offer total now stands at nine. Adams plans to return to West Virginia this summer along with a visit to Central Florida. 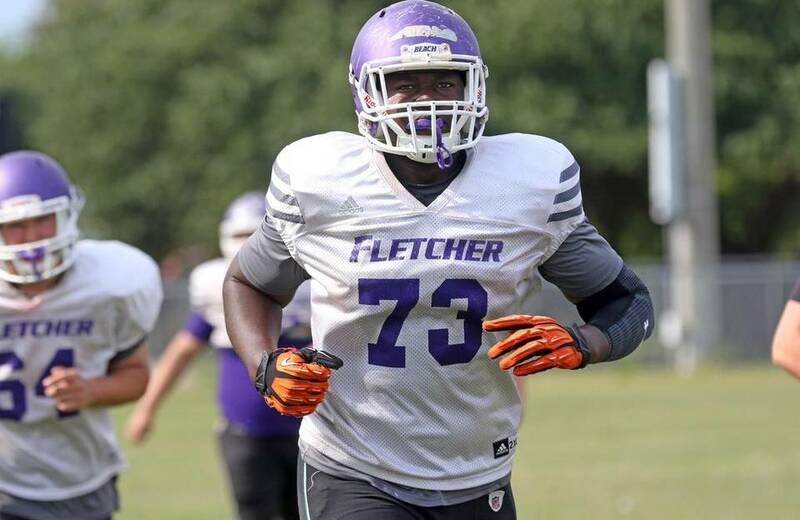 Adams is also starting to hear from several SEC schools." Besides UMass Adams has nine offers including Charlotte, Old Dominion and Georgia Southern. I've blogged about New Jersey WR Frank Darby several times before. He was offered a UMass scholarship then committed to Iowa, then reopened his recruiting. Everyone expected him to go to Rutgers, but he recently committed to Arizona State. No word if UMass was involved the second time around. 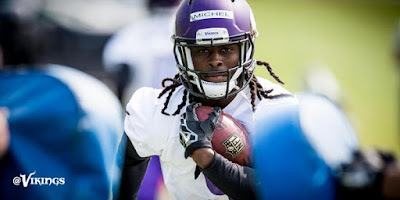 WWW.Vikings.com has five things to know about Marken Michel. The Vikings made some moves that might make Marken's quest more doable. Rap artist Fetty Wap names his latest track after Victor Cruz. NFL Broadcast has some quotes by NFL players about sports commentary. Includes James Ihedigbo. Memphus RB Jarvis Cooper gets a huge Memphis-centric tattoo, then decides to transfer. Several recruiting sources report UMass has offered to Jaaron Jackson, a 6-2 220 pound DE from Lakeland, FL. Results from a Nike camp held on 02/14/16. Type "Jaaron Jackson" in the search box, there's many screens. 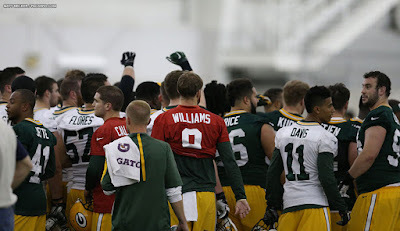 Randall Jette at the Packers camp. Pro Football Talk mentions Jette's Martha's Vinyard roots. Dan Malone covers moving the Tulane game to McGuirk. As Malone points out, A.D. Ryan Bamford managed to add two games to McGuirk. That's good work. It's also a good omen for possible conference affiliation in the future. You have to feel Bamford is up to the task of getting the Minutemen in a conference if the opportunity arises. The opening line for the Gators-Minutemen is Florida by 37. The Gators have many choices in their offensive line. UConn gives HC Bob Daco a raise and a two year extension in his contract. College Football News previews the 2016 AAC. 2016 opponent Old Dominion says they'll pay full cost of attendance for football and basketball. 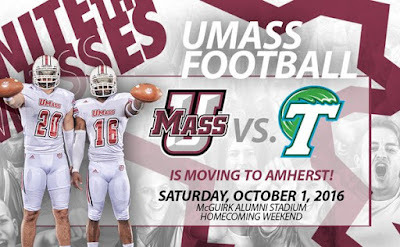 UMass-Tulane moved to McGuirk. Another great move by A.D. Ryan Bamford. I'd heard that Tulane had been reluctant to give up the visit to Gillette. UMass will now have three games each at McGuirk and Gillette. Tulane will be probably the biggest "name' team to ever visit McGuirk except for Boston College. The MAC teams has some history behind them such as Miami being "the cradle of coaches", but Tulane went to the Rose Bowl in 1931 and started the series with LSU that became the Sugar Bowl. It would be nice if Homecoming 2016 was sellout against the Green Wave. Matty Vautour has a post about the Tulane game and possible temporary improvements to McGuirk. Dan Malone has a report on what Tajae Sharpe and the Minutemen free agents are up to in the Pros. UMass is on the short list of possible teams to play at Arkansas in 2020. One of my buddies in the Navy was a big Hogs fan. When I see anything about Arkansas, I think of his "Wooeee! Go Hogs!". He had a whole litany of back-woods Southern expressions that kept us all in stitches. None of them were politically correct in this day and age, but he was fun to be around. Tajae Sharpe brings his own football to Titans camp. BTW, the Titans made some QB moves Monday. Vladimir Ducasse signs a free agent contract with the Baltimore Ravens. This article features Ori Jean Charles and Deval Lawson, two players from Spring Valley in New York. The story says at least one has taken a visit to UMass. Ori Jean Charles is a 6-2 208 pound dual-threat QB and outside linebacker. Deval Lawson is a 6-5 235 pound TE. He originally signed with BC, but decommitted. Drawing interest from Temple, BC, UConn, Maryland Syracuse and other schools from the Northeast. Titans HC Mike Mularkey wants more production out of Tennessee's wide receiver corps. iSportsweb has transcripts from the Titans video of the mini-camp, including Tajae Sharp. Titans Online Q &A writer thinks Shape will contribute. The Milwaukee Journal-Sentinel features Packers free agent Randall Jette in this article. New FBS team Charlotte 49ers ponder possible choices in the AAC or Conference USA. 2016 opponent Tulane will have new unis for this season. Michigan considers satellite recruiting camps in Hawaii, Australia and Samoa. 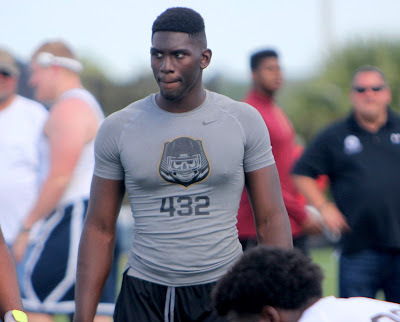 Several recruiting services report UMass has offered to Dennis Briggs, a 6-4 230 pound DE from Kissimmee, FL. Also threw shot put and discus for Gateway. Besides UMass, Briggs has offers from FAU, Pitt, Indiana, Mississippi State and Virginia. The UMass website has a summary of all the academic awards won by the UMass football team. Twenty-Two Minutemen players were named to the MAC Honor Roll (Min 3.0 GPA). Good work to all involved. Newsday has 32 NFL rookies to watch in 2016. Tajae Sharpe is one of them and he's next-to-last in the article, so scroll a long way. Titans online reports Tajae Sharpe had a good first day at mini-camp. CBS Sports predicts the Top-100 NFL rookies. Sharpe is #100. SB Nation ranks all 63 members of the Group-of-Five. We're not last. 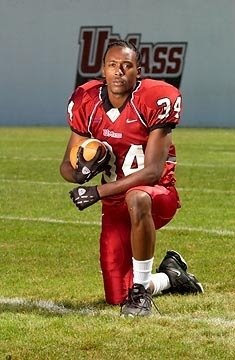 NJ.com has a story about Brandon Smith, who was a four-year letter winner for UMass in 2003, 04, 05 and '06. His UMass bio. Smith has been diagnosed with ALS. His fiancee has set up a Go Fund Me page to help with his medical expenses. Maybe some of his former teammates and UMass fans can help. 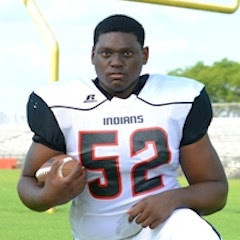 Several recruiting services indicate UMass has offered to Cordavian Suggs a 6-6 268 pound OL from Neptune Beach, FL. Suggs holds 25 offers from FBS schools including Temple from the Northeast. 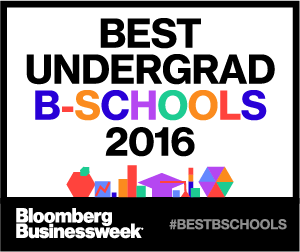 UMass' Isenberg school of business has been chosen the top undergraduate public business school in the Northeast. The school's Sports Management major is regarded as one of the top programs in the nation. Coach Whipple and his staff should be able to use this to recruit players interested in a career in business or sports management. 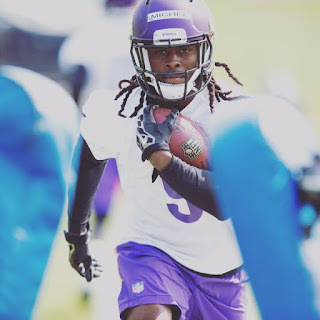 The UMass Football Twitter feed had the above image of Marken Michel at the Vikings camp. Michael Traini at Underdog Dynasty has an early preview of the 2016 Minutemen. Fox Sports covers FCS Vs FBS in the Northeast and features Wagner against BC and UMass. Philly Sports previews the 26 free agents working out for the Eagles this weekend including Jovan Santos-Knox. 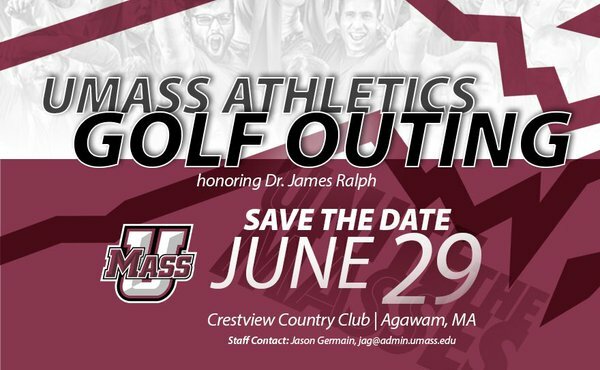 Join Coach Whipple and the other coaches at the annual Golf outing on 06/29/16. It's a great opportunity to meet and talk with all the Athletic Department personalities. SBS Nation previews the 2016 Minutemen and reports things are looking up. NJ.com reports UMass may attend a recruiting satellite recruiting camp in New Jersey on June 7th. Condolences to the UMass women's rowing team, who lost the A10 Championship on a tie-breaker. During the UMass Football Spring Game a friend and I sat with four members of the rowing team. They were sharp, well-spoken young women. Speaking of satellite camps, the Florida Gators will sponsor two in June. BC and UConn will attend Michigan's recruiting camp at Cheshire Academy in CT on June 4th. Speaking of UConn, Today's Sports says the Big 12 would hurt UConn hoops. Some web bot discovered the blog yesterday. Had 22,000 page views before midnight. Victor Cruz says there's no rivalry with Sterling Shepard. Newsday reports Cruz is feelin' good about his comeback. CBS Sports relates Cruz has been on a "pitch count" in team drills. As the Big 12 inches closer to expansion, Conference USA and the AAC brace for the impact. ESPN reports school officials from Houston, Memphis, UCF and Colorado State are lobbying the Big 12 for admission. Arkansas HC Brett Bielema thinks undrafted underclassmen should be allowed to return to school. Since the NCAA penalizes schools if they don't meet a standard APR, then yes, the NCAA should allow kids to return to school. 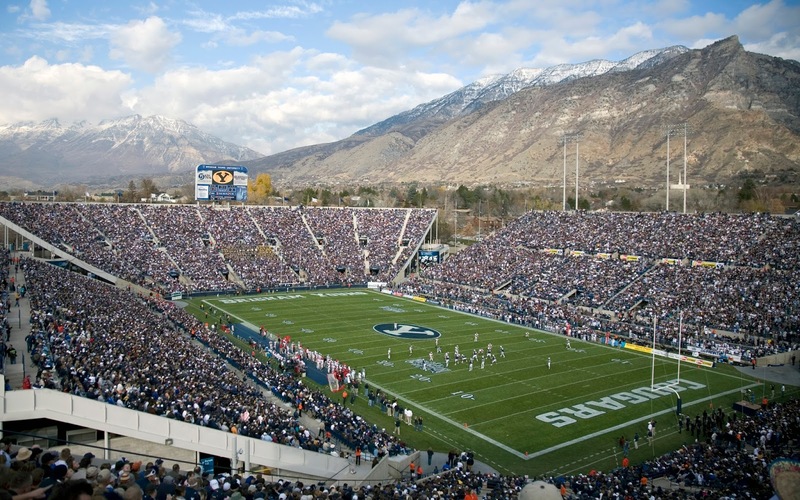 The Daily Herald says they can't wait for 2016 opponent BYU's season to open. 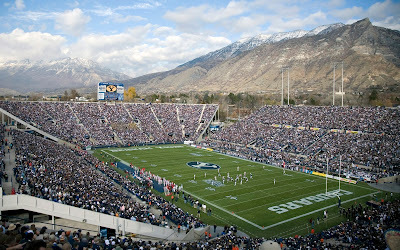 The article mentions the atmosphere at LaVell Edwards Stadium. God willing, Mrs Blog and I will be there to watch the Minutemen play the Cougars. Former Notre Dame QB Evertt Golson will part of the competition Blake Frohnapfel will face at the Colts mini-camp. The Titans and Tajae Sharpe agree on his free agent contract. Fantasy Pros calls Sharpe "a new and exciting addition to the Titans". FFToday says Sharpe could cause Titans WR Justin Hunter to be the odd man out. RotoWorld says Sharpe could also push Titans WR Kendall Wright. Julian Talley states he's keeping his hopes up until his legs won't go anymore. Eli Manning is excited to see Victor Cruz back on the field. The AAC conference says they've got contingency plans. Today's U says the AAC is a quality conference despite obstacles. SB Nation previews the 2016 AAC conference. Oklahoma is not on board with Big 12 expansion. The Packers have Randall Jette's bio up on their website. The Tennessee Titans also have Tajae Sharpe's bio up. The Titans draft class reports today. The Sun-Chronicle profiles sports agent Blaine Roche, who's newest client is Tajae Sharpe. Roche has a degree from UMass Amherst. Dan Malone has a story about UMass A.D. Ryan Bamford and reports Bamford is "even more positive" than he was a year ago. ESPN reports the college football playoffs are driving the Big 12's expansion. Coach Whipple uses a fullback in his pro-style offense, but football scoop says fullbacks are a dying breed. Matt Eaton, a 6-4 220 WR from Pearl River C.C. verbaled to Iowa State Friday. Eaton chose the Cyclones over offers from UMass, Toledo and Bowling Green. UPDATE: I forgot to mention I added a link to the DuBois Library falcon cam. 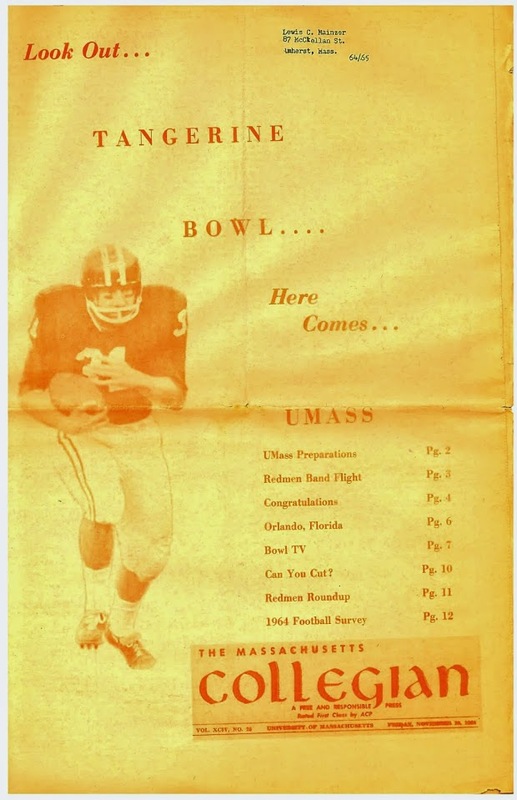 It's in the "other UMass fan sites" section of the blog sidebar. I'll keep it up while the falcons are nesting. How Odel Becham and Victor Cruz defied the "short" label. Lyndsey Raucher, a member of the UMass Dance Team is named a member of the Patriots cheerleading squad. Sports Edge.com says UConn should be a lock for the Big 12 expansion. PennLive.com ranks the Huskies last in potential Big 12 candidates. One name not being considered is 2016 opponent Tulane. ESPN projects Mississippi State as #24 in FBS and predicted the Bulldogs will make another bowl game. 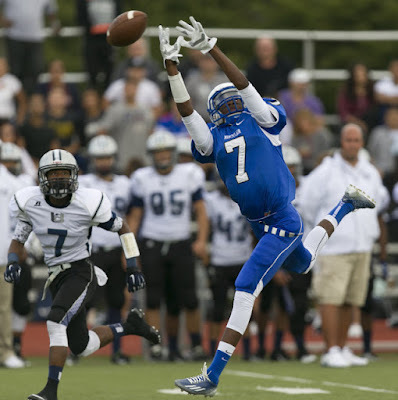 Tim Barrow, a 6-2 170 pound WR from Staten Island, NY has verbaled to Rutgers. Chose the Scarlet Knights over offers from UMass, BC and Buffalo. Fifteen UMass football players will receive their diplomas this weekend. Congrats to all involved. Any senior that needs a few classes to graduate should make a point of doing so. That degree opens doors all through life. Blake Frohnapfel will be competing with Notre Dame QB Evertt Golson in the Colts min-camp. The Milwakee Insider has a couple of paragraphs about each the Packer's free agents including Randall Jette. NFL Media's Lance Zierlein thinks the Titans draft was the best. 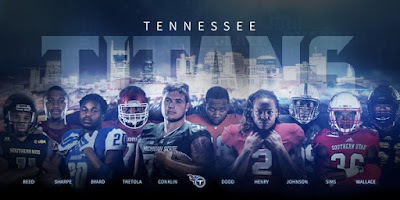 Music City Miracles blog looks at Tennessee's draft. The Florida Gators look for a more vertical passing game in 2016. The Orlando Sentinel previews 2016 opponent FIU. ESPN looks at Big 12 expansion candidates including UConn and BYU. University of Memphis' president David Rudd says Power Five realignment will extend beyond the Big Twelve. Akron grad wins beer drinking internship. The latest version of the 2016 UMass Football roster has added Mike Parham, a 6-2 180 pound WR from Boston Latin HS in Boston. Spent a prep year at Canterbury School. Had 9 receptions for 157 yards in one game for the Saints. The UMass Twitter feed shows Tyrell Smith has a tryout with the Carolina Panthers. The Titans GM Jon Robinson opted for size and work ethic in Tennessee's draft. Mentions Tajae Sharpe. The St Louis Post-Dispatch says the Titans were winners in the draft and to keep an eye on Tajae Sharpe. Rant Sports has Sharpe as one of the five most underrated 2016 draft picks. SB Nation previews the 2016 Temple team and says the AAC East Title could go through Philly again. BTW, highly touted Owl LB Tyler Matakevich was just seven picks away from not being drafted. Wichita State is reported to be interested in reinstating football and joining the Mountain West. The New Britain Herald says UConn would have to show the Big 12 they would bring a big TV market to the table. Underdog Dynasty says the Sun Belt conference screwed up by dropping New Mexico State. 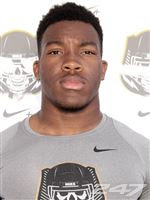 Several recruiting services indicate UMass has offered to Kyric McGowan, 5-10 185 pound RB from Dalton, GA.
Hudl.com has junior highlights and says he ran a 4.47 forty. NCSA recruiting has some more stats. MaxPreps says McGowan has a career 7.8 yards/carry average. McGowen has 15 offers including three teams UMass plays in 2016. The UMass Football Twitter feed says Jovan Santos-Knox gets a tryout with the Eagles. Nothing yet on Philly's website. Dairyland Express looks at the Packers' free agents including Randall Jette. NY Giants blog "Big Blue View" mentions Kessan Messiah in their Giants free agent tracking. University of Memphis lobbies for inclusion in the Big Twelve's expansion plans. The AAC is on alert for losses to the Big 12. UConn has hopes to be chosen too. Even if UConn left the AAC to join the Big 12, the AAC would be the league of choice for UMass. The AAC would still have Temple and the rest of the league have athletic footprints similar to the Minutemen. We could compete in the AAC. UConn's powerhouse hoops programs would do well in the Big 12, but Husky football would have a tough time. BYU, another Big 12 hopeful, had only one player in the NFL Draft. The Minneapolis Star-Tribune mentions Marken Michel getting a free agent tryout with the Vikings. The Martha's Vineyard Times has a story featuring Randall Jette getting a Free Agent contract with the Packers. The Tennessean looks at the Titans draft picks. The Saint Louis Post-dispatch says keep an eye on Tajae Sharpe. Mel Kiper grades the Titans' draft. Steve Spurrier will be honored at the UMass-Florida game in September. Campus Insiders ranks the FBS conferences after Spring ball. Underdog Dynasty covers the free agent signings from the Sun Belt Conference and the Independents. 2016 opponent Hawaii may be losing their best defensive lineman. Another 2016 opponent Troy suffers tragedy when DB Nathan Harris is killed in a motorcycle accident. Temple had three players drafted and three signed free agent contracts. UConn did not have any player drafted, but five Huskies signed free agent contracts. Boston College had two draft picks: Steven Daniels and Justin Simmons. 247 Sports reports UMass has offered to Imani Partlow, a 5-1 180 pound CB from Orlando, FL. It appears UMass is the first to offer Partlow. Dan Malone has a post about Kessan Messiah and Robert Kitching III being invited to NFL mini-camps. Matty Vautour has a story about the five UMass players who either received Free Agent contracts or were invited to mini-camps. myCentraljersey.com says the Piscataway pipeline to the NFL continues with Tajae Sharpe's being drafted by the Titans. iSportsweb.com talks about Tajae Sharpe being a late round gem for the Titans. BTW, Phil Steele has Sharpe as his 20th ranked receiver in the draft. NJ.com tracks the Giants free agents and mentions Kessan Messiah. How will the Minutemen alums do in the NFL? Partially, it depends on staying healthy. I thought Rob Blanchflower had the talent to play for the Steelers, but he couldn't stay healthy. Whipple called Marken Michel "Our best player". When he got hurt in the middle of last season, the Minutemen offense suddenly lost a lot of its spark. I think Michel and Jette have the talent to play to play in the CFL if they don't stick in the NFL. Frohnapfel is usually the smartest guy in the building, so he'd be an excellent reserve/unoffical coach for an NFL team. WWW.Capenews.com has a post about Robert Pena being inducted into the Minutemen Athletic Hall-of-Fame. Not sure why, but the Albuquerque Journal breaks down the UMass 2016 schedule. Hustle Belt reports only six MAC players taken in the NFL Draft. Robert Kitching gets a Ravens tryout. Kassan Messiah gets a NY Giants tryout. This April 27th article from NJ.com features Messiah and the NFL Draft. Dan Malone has stories about UMass Free Agent signings. Randall Jette signs with the Packers. Blake Frohnapfel is invited to a Colts mini-camp. Federicksburg.com on Frohnapfel being invited to a mini-camp. Marken Michel gets a Free Agent contract with the Vikings. Two Vikings Free Agents made the 53 man roster last year. ESPN writer says the Tennessee Titans draft (including Tajae Sharpe) looks like better players than they currently have. The Hattiesburg American says the Titans won big in the draft. SB Nation gives Sharpe some props in this draft summary (scroll to Tennessee). OT, but a Dogs fan I know thinks the Pats got a steal with Malcolm Mitchell if he stays healthy. Mitchell's 45 yard TD against the Gators.